LIMA — On Monday, President Trump signed into law the National Defense Authorization Act, a law that will provide funding for upgrades of Abram tanks and Stryker Vehicles at the Joint Systems Manufacturing Center. The new law authorizes $1.5 billion in funding to upgrade 135, or 1.5 brigades worth of Abrams tanks, with $225 million for upgrades of Stryker vehicles at JSMC. The funding for the Stryker upgrades was $203 million over the president’s budget request. 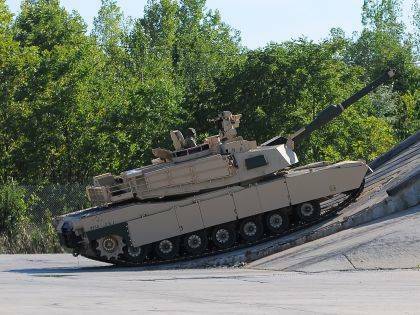 The funding will allow the JSMC to increase the rate of production of the newest Abram tanks to ensure the tanks are equipped with the latest and greatest capabilities, according to Sen. Rob Portman (R-OH) in a news release. Sen. Sherrod Brown (D-OH), who is also a supporter of the this law, believes that the funding will greatly benefit JSMC. Rep. Bob Latta (R-Bowling Green), who served on the Conference Committee that worked on versions of NDAA, also believes that the funding will have a tremendous impact on the military. The Lima News reached out to Hank Kennedy, director of plant operations for General Dynamics Land Systems, but did not receive a response.